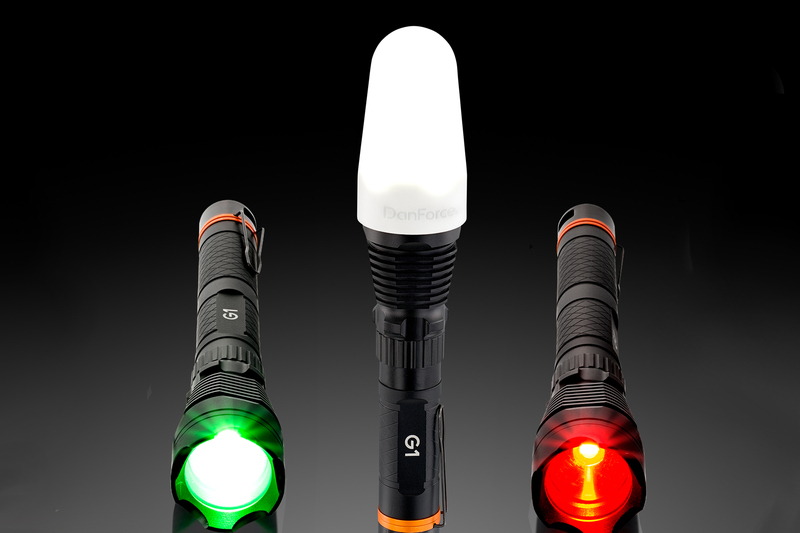 Change colors, add lumens, charge devices, strap to bikes (or guns), make a lantern, and more: The DanForce G1 Pro flashlight teeters between gimmicky Kickstarter and full-featured outdoor tool. Anything that claims to do everything usually doesn’t do any one thing well. But we hope that’s not the case with the recently launched DanForce G1 Pro flashlight, live now on Kickstarter. 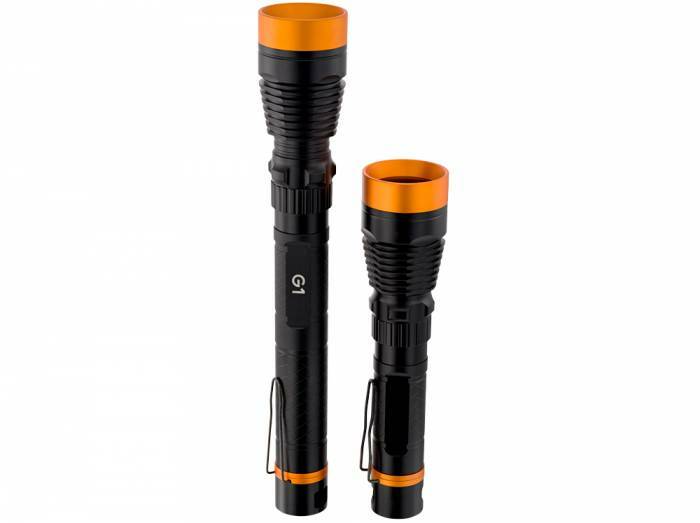 Touted as the “world’s first modular flashlight,” the G1 Pro lists a number of features that could make it a great all-around camping product. In particular, DanForce gave the flashlight red and green filters, a lantern add-on, expandable power, accessory mounts, and more we haven’t yet seen on other “fully featured” flashlights. The crux of the G1 Pro’s technology is its modular design. 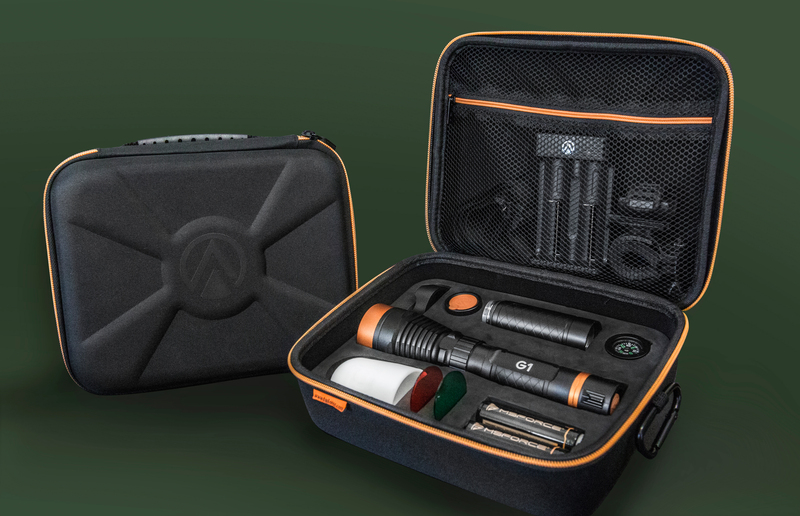 It comes with its own carrying case filled with accessories that expand its capabilities. Two removable color filters, red and green, seem like a no-brainer for a flashlight you’d take into the wild. But, until now, we’ve seen that feature only on headlamps. And the G1 Pro also comes with a cone-shaped lantern cap that diffuses its lumens to light up campsites or tents. 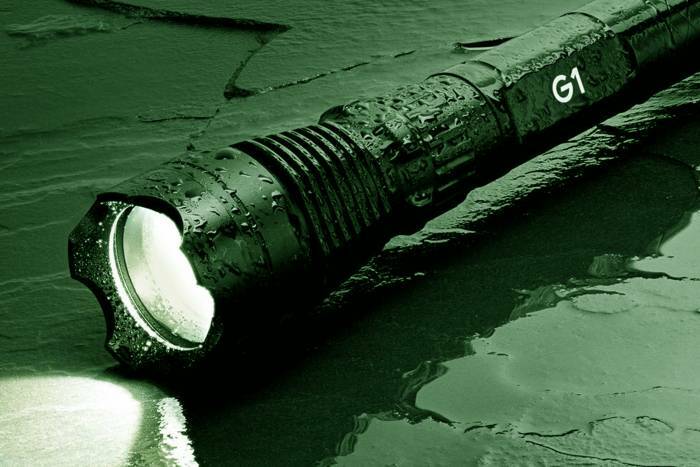 Speaking of lumens, the G1 Pro’s LED bulbs have a wide spectrum of brightness. For starters, the light has six modes: high, medium, low, SOS flashes, eco (battery-saving), and the ever-present, totally useless strobe pattern. But the light also has a standard power and high-power configurations. With its modular design, users can snap in an extra power bank to boost the brightness from 570 lumens up to 1,080 lumens. That added power also bolsters the battery life from 7 hours up to 10-12 (depending on the mode). And like many products these days, the power bank also has a USB port to charge a phone or other peripherals. Rounding out the modular accessories are a bike mount, weapons mount, and pressure switch for activating the light remotely. 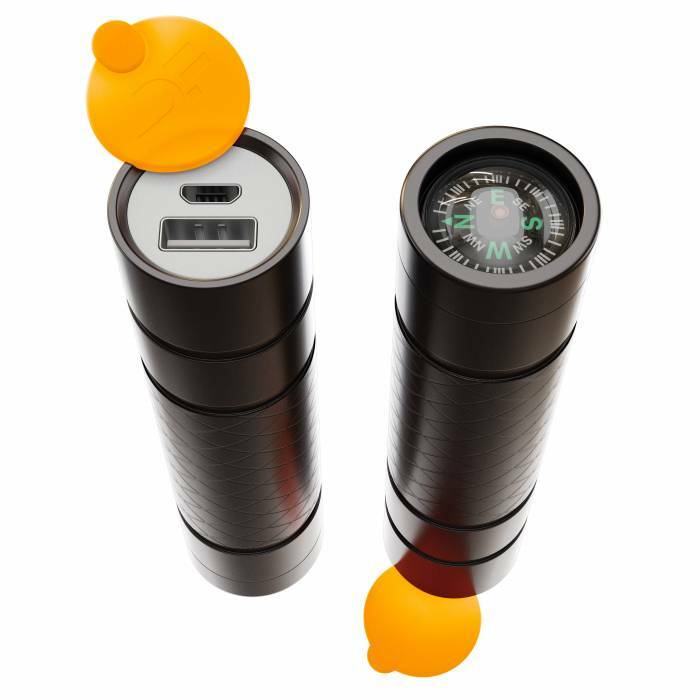 Plus, a small compass graces the back of the power bank for in-a-pinch navigation. And the G1 Pro comes with a wrist strap, neck strap, and “tactical” hip pouch. As for specs, the G1 Pro weighs 220 grams (275 with power bank) and has an aluminum body, two 3,200mAh rechargeable batteries, and IPX4 water and dust resistance. It has blown past its Kickstarter goal, raising more than $200,000. It will retail for $109, but backers can grab one for $79 while buy-ins last. previous:Is Adam Ondra the Favorite for Climbing in the 2020 Tokyo Olympics?